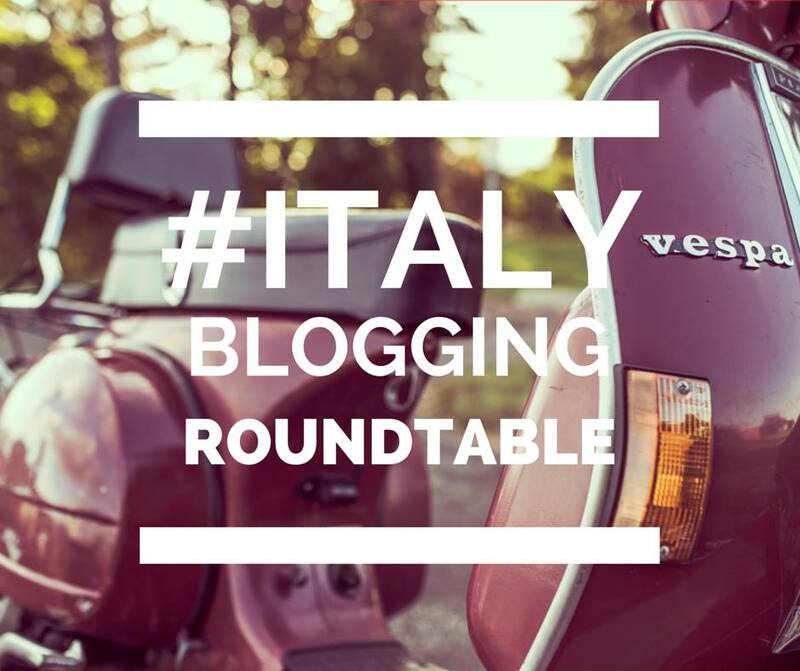 Welcome back our monthly Italy Blogging Roundtable! The theme this month is “Myths”, so take a look at posts by Georgette Jupe, Kate Bailward, Jessica Spiegel, Melanie Renzulli, Alexandra Korey, Gloria, Laura Thayer, and Michele Fabio. (If you missed the previous months, take a look here.) Welcome back to our ever-expanding table…come pull up a chair and join in on the conversation! I kind of lucked out this month, as fellow roundtable member Jessica discovered that I had already tackled the theme of myths in…wait for it…2003! Yes, I was already writing posts more than a decade ago for the beloved Slow Travel site, and it came in handy a mere 13 years later when I was too busy to come up with a new post so served up this warmed over classic from the back corners of my fridge. Enjoy! Now, I’m the last person to criticize guidebooks – any author deserves some credit for taking a stab at a task so momentous – but certainly they all have their strengths and weaknesses. Some seem to be museum-opening-time-challenged, others couldn’t recognize a decent hotel if they stubbed their toe on its doorstep. But I think the Achilles heel of the vast majority of guidebooks is to be found in that small chapter somewhere near the front entitled, “Insights into Italian Culture”. This section, usually stuck in between “How to Purchase Train Tickets” and “Where to Change Money”, dedicated to the admirable task of helping the English speaking traveler navigate the rocky stream of acceptable behavior in Italy, is usually peppered with grave pronouncements I imagine made in that booming, self-important male voice which narrated every social studies and biology film I viewed between the third and ninth grade. Sometimes these are quite accurate and helpful, but I have certainly read some over the years which have made me sputter my cappuccino all over myself and exclaim “WHAT?! ?” to no one in particular. The problem is that most of these authors have never lived in Italy and barely have a working grasp of the language. They dedicate most of their time here to inaccurately recording museum opening hours and overlooking decent hotels, and their cultural knowledge is incidental at best. I would like to share a couple of my favorite doozies, and, I hope, set the record straight for those Slow Travelers out there who may be about to make their first trip to the Bel Paese. 1. Small Town Italians are Very Friendly. They commonly greet Everyone They Pass, and it is considered Rude not to do so. This is how I imagine the scene: Our fearless guidebook author sips his espresso at an outdoor café in a small town in Italy, all the while observing an Italian gentleman meandering down the Corso, greeting with regularity those he passes. “Aha!” says our author to himself (in a booming, self-important voice), taking feverish notes, “Why, Small Town Italians are Very Friendly. They greet Everyone They Pass. It must be Rude not to do so.” What is really happening is this: The Italian in question is not greeting Everyone he Passes, he is greeting Everyone he Knows, which, in most small towns in Italy, is about 99% of folks in town. 3) a shocked silence, followed by a loud, indignant “Who are you and why are you greeting me?! ?” I can’t actually imagine this happening but feel I must make allowances for those few Small Town Italians who are, in fact, not Very Friendly. In fact, as measured by greeting perfect strangers and superficial small talk, most English speakers I know are far more “friendly” than Italians who, as a whole, combine gregariousness and reserve with great skill. I have known Italians for years before finding out what they do for a living, what their university degree was in, how much they are paying in child support, and when they had their last surgery, which are all subjects generally covered within the first five minutes of sitting next to any average American on an overseas flight. 2. You are expected to order an antipasto, a primo, and a secondo at an Italian restaurant, and will be in ill favor with your server if you do not do so. I suspect that some Italian restaurant consortium actually paid the author to put that in the guide, because I have never read such complete bunk in my entire life. I can honestly say that in 25 years of traveling to, and living in, Italy I have never ordered three courses in a restaurant (mostly because I’m vegetarian) and have never been treated any differently because of it. If you are, you should immediately get up and leave. Your server is either being inexcusably rude or is part of the consortium which paid the guidebook, and either way doesn’t deserve your business. The truth is this: very few Italians eat a traditional three to four course meal anymore. Modern sedentary life just can’t justify the calories. I eat out quite often, usually with groups of friends, and it is a rare occasion when one of us orders more than a main dish and salad. The only time I have seen our waiter get hot under the collar is while trying to coordinate the order of the dishes to be served, as in a group of eight there are inevitably two who want an antipasto and primo, two who want an antipasto and secondo served with the others’ primi, one who wants a pizza served with the antipasti, one who wants a primo and contorno but the contorno as an antipasto, one who wants a secondo and contorno, but the contorno as a primo, and the poor guy at the end of the table who caught a bit of a chill on the back of his neck two evenings ago and hasn’t digested since and can he just have a bit of riso in bianco with perhaps a little lemon? It would drive a saint to drink. I have given a lot of thought as to how this misconception of what you must order in an Italian restaurant came about, and I think I may have an explanation. Whereas in the States, your server comes to your table, introduces himself by name, pulls up a chair and launches into a 20 minute discourse on his family history, latest car purchase, and the fact that this is just a day job, what he really would like to do is direct, followed by a deep, heartfelt look into your eyes and a beseeching, “Now, is there any chance that I could possibly interest you in one of our appetizers today?”, the Italian server marches up to your table and with great economy of words barks, “Per Antipasto? Per Primo? Per Secondo? Vino?” Now, neither server really cares all that much about what you end up ordering (in fact, the stakes are probably higher for the American server, as it is not common in Italy to tip as a percentage of the total bill), but to those not used to the Italian way of taking an order, it may seem that you are expected to choose one thing in every offered category. Regardless, feel free to order exactly what you feel like eating without pressure. Doggie bags are, however, taboo. 3. Italians will bargain for anything. This is, in fact, true. I have seen Italians offer up a conspiratorial grin and wink to the teenage girl at the Osco Drug check out counter in Northwest Suburban Chicago, plunk down a toothbrush, and say (in English which sounds like a mix between Ricky Ricardo and Tarzan), “You give me good prize for dis, no?” to which the girl flatly responded, without pausing either in paging through Vogue or snapping her gum, “Prices are as marked”, which might explain why her photo was conspicuously missing from the Employees of the Month plaque on the wall behind her. My word of warning here is that this sort of unqualified statement skims over the subtleties of Italian bargaining. Italy is not a Moroccan bazaar; Italians generally do not haggle. Bargaining in Italy calls for finesse and good humor and, above all, time. It is, in short, an art. I offer here an example of how not to go about it: A few years ago I was conversing with a friend of mine inside her upscale ceramic shop in Assisi. Suddenly, an English speaking man barged in and interrupted us by abruptly demanding of my friend, “How much for the clock in the window?”. My friend, taken aback, smiled politely and replied in her perfect English that the price was 150 euros, as marked. The man, apparently mistaking my friend for a patient of Oliver Sacks, repeated his question veerrryyy slllowwwlllyy, “N—o, h—-o—-w m—-u——-c—-h i—–s t—h—e c—l—o—c—-k i—-n t—-h—e w—-i—n—d—o—w?? ?” My friend matched his speed, “I—-t’s 1—5—0 e——u—-r–o—-s, a—–s m—–a—r—k—e—d.” The man had had enough of his precious time wasted, and, raising his voice, barked, “No! I mean, how much do you really want for the clock in the window!? !” My friend looked at him, slowly and sweetly smiled, and answered, “200 euros.” The man huffed out to join a very harried and dogged looking wife, and they stomped away together (surely prepared to regale their bus-mates with stories of the rude shopkeepers in Assisi all the way back to Rome). Let us now juxtapose this scene with my fantasy version of how it could have gone: Man enters shop, compliments woman on beautiful wares. Woman thanks, asks if there is something he likes in particular. Man indicates clock. Both wax poetic about clock’s beauty for several minutes. Man asks price, woman answers. Man sadly shakes head, comments that he is now poverty stricken after wife’s shoe shopping spree yesterday (indicates relaxed, happy looking woman waiting outside). Woman makes slightly flirtatious comment regarding what trouble women can be. Man laughs and settles himself against counter. Half hour conversation ensues (He just spent two weeks in Tuscany and Venice. Yes, Venice is beautiful. He and wife hail from Philadelphia. What a coincidence, her grandfather’s second cousin emigrated to Philadelphia in 1903, have they met?). Talk returns to the clock. Some good natured figures are bounced back and forth, interspersed with observations about the weather and recommendations for where to dine. A deal is struck, she packs up the clock and throws in a small ashtray for good measure. His wife comes back the next day for the lamp she spied the afternoon before. All is done with a light touch and friendly tone. Finesse. down on hand and knee = international sign of supplication. resigned shrug = international sign of giving in. A final note: Many guide books point out that a number of stores post signs informing you that their prices are fixed. I have found that it never hurts to ask if there is a possibility of a small discount. The worst that can happen is that you are politely told no, and the best is that you find yourself with extra gelato money at the end of the day. 4. Italian men are predatory. The point I’m trying to make is that the vast majority of Italian men, like those all over the planet, are too busy working, studying, volunteering, parenting, and otherwise living full, happy, responsible lives to spend many weekday afternoons hanging around in piazzas, wolf-whistling. The small percentage who instead have nothing better to do than lurk at the Trevi Fountain trying to pick up foreign women are more noticeable, but certainly not indicative of the average Italian male. This is not to say, of course, that Italian men, like many of Mediterranean cultures, are not notably more appreciative of the well-turned-out female than the average stiff-upper-lipped, Puritan Anglo-Saxon (aside, of course, from those certain subgroups which seem to include predatory behavior as part of their professional qualification the world over, i.e. construction workers, truck drivers), and given the amount of time and effort many Italian women dedicate to their appearance, it seems only fair that it should be so. However, I have found that a token, subtle glance at a leg is one thing (quite buoying, in fact, on those days that I can’t quite get the zipper up on my skirt and my hair dried all funny and sticky-outy and I am surrounded by a nation of women just naturally more attractive than myself), asking you if you are traveling alone and shadowing you back to your hotel is quite another. So, my word of caution is to steer clear of those same people you would be prone to steer clear of in Des Moines, and you should have no problem. You may, however, go back home convinced you have the best legs on earth, and, hey, there’s nothing wrong with that in my book. So, as they say in Italy, “’Un pò fa,’ disse l’uomo mentre che faceva la pipi’ nel mare.” (Every little bit helps, said the man as he peed into the sea). I hope I have added my bit to the sea of knowledge and not to that of myth and misconception. I’m sure I’m not the only one out there who has spotted these hilarious off-mark cultural observations. Let’s hear others! Really brilliant and funny writing! Brava Rebecca! and by the way…I think you do very well holding your own in a nation of beautiful women! Thanks so much, Melissa! I’m not sure how well I do holding my own, but I certainly am going down fighting! wow, even 7 years ago you were an incredible writer. No, wait, i hate the word incredible, I even told my colleagues never to use it. That and “amazing”. Brilliant? Yes, that’ll do. Apparently i forgot that i read this article in 2010. Nice move girl. Seriously my only comment here is I LOVE YOU REBECCA!! I am not sure what part I love most but I think it is the Olivetti investment. hahahaha!!!! Um this might be one of my favorite posts of yours ever, I concur with Alexandra. I mean you hit the nail on the head on every single point. Ps. I’m so tired of hearing “how do Italians eat so many courses and stay thin” while thinking about my ex-boyfriend’s penchant for riso al bianco and steamed veggies for months because of some self-belief (non Doctor diagnosed) that his digestive system somehow deemed this his fate. Well done. my friend, well done. Dying here. Spot on and hilarious – bravaaaaa! Georgette beat me to it: This may be one of the best pieces of yours that I have read! What staying power and still all viable advice! Bravissima! What a pleasure to reread this after ten plus years!!! I’m still waiting for your BOOK! Regarding friendliness – my town, which has a population of about 650 and is up the road toward Monte Amiata) is full of “gatte morte” (dead cats), those women who haven’t smiled since 1945 – and who can blame them what with all the work in the gardens and kitchens and having husbands and sons they’ve been waiting on hand and foot for fifty plus years?! The first five years I was here, they merely glared when greeted, but after a few years of my smiles and occasional compliments, things began to thaw. Now after almost a dozen years, they finally believe I’m going to stay and live here. The best greet me first (they’re usually divorced and their sons have moved out), and the worst answer with a pleasant tone. La vita ha diventata bella! (life has become lovely). Kudos, Rebecca. Expect your book when your youngest has graduated high school. Right? Well, what can I say? You had me in stitches laughing with your thorough and (much needed) demolition job of these guidebook myths. Well done!